I found this issue on Sunday evening, and given that I’m generally fairly busy during the week I’m unlikely to remember to call them subsequently. There’s every chance this issue will linger until someone internally notices it. I appreciate that web teams are often under immense pressure, and they don’t want to deal with misdirected customer inquiries, but a simple website feedback email address or form would act as a simple safety valve. I do also wonder how much other valuable customer feedback (and sales?) 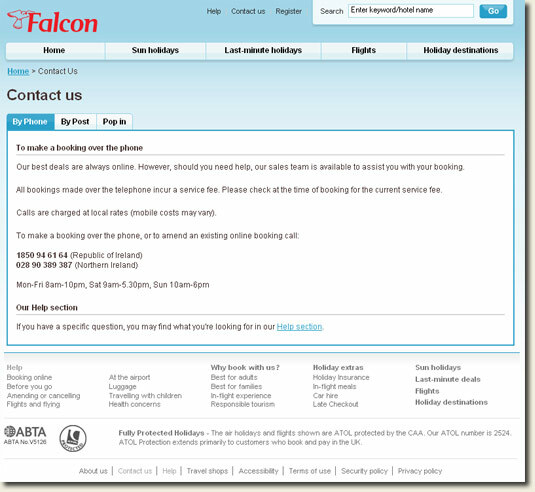 Falcon are missing out on by forcing their site visitors users onto the phone? I’d do a lookup on the domain and send an email to the contact email on there. But it’s a faff and you’d have to be a pretty good samaritan to do that! 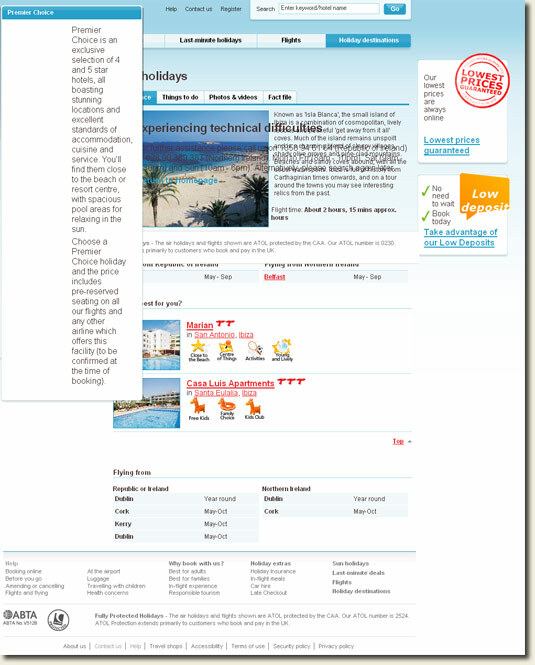 Agree that it’s good practice to contact the site owner. But there’s no chance I’ll go to the hassle of doing a ‘whois’ and making direct contact. Seems to me that alot of the early technology adopters haven’t bothered to update their sites as the years have passed and so they’ve become outdated, and as you say, downright broken. Was going to suggest looking at the Whois record like Gregor mentioned above, but like you pointed out it would most likely end up in a blackhole. It’s a shame that they don’t offer their cliets a mean of online contact, not even an email address! Looks like your good deed is going to go unnoticed! I wonder if the page is still broken? I agree with Gregor… you could do a Whois, but to be honest how many people would go to that trouble. It makes sense to offer a really easy way to contact the site owner about a technical issue. Even just an anonymous comment box with a captcha would fit the bill.